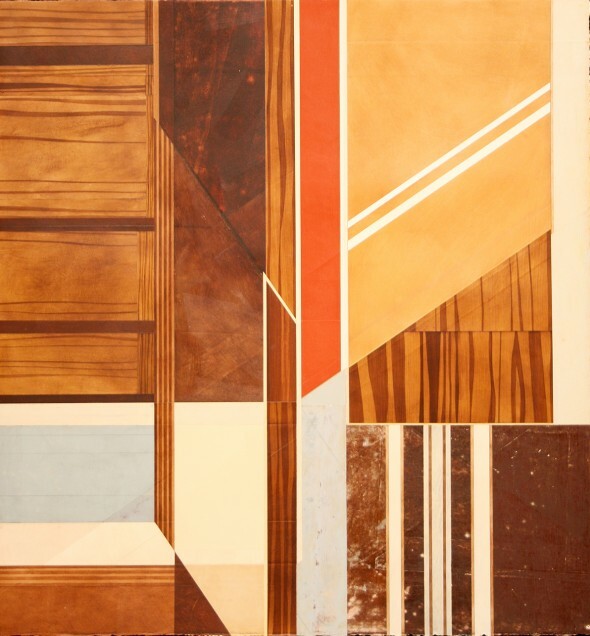 My paintings involve the aesthetic, utilitarian and structural use of wood grain patterns in modern architecture, interiors, and urban industrial environments. 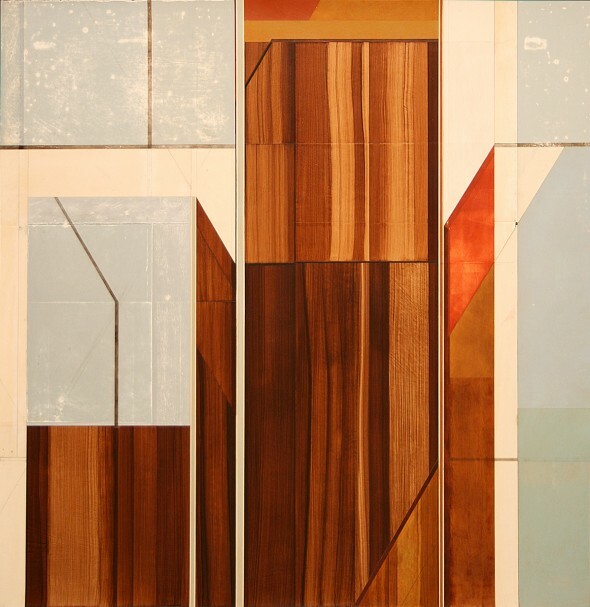 Directly brushed to paper or panel, the faux bois forms interact with color and structure; creating stylized images influenced by mid-century and modernist designs of the fifties, sixties and seventies. Wood has a lot of connections with spaces I enjoy being in or around, and trees have been the subject in most of my early paintings. When I started isolating elements within the landscape the implied physical distance diminished; and my recent paintings now involve proximity with architecture, interior spaces and urban environments. 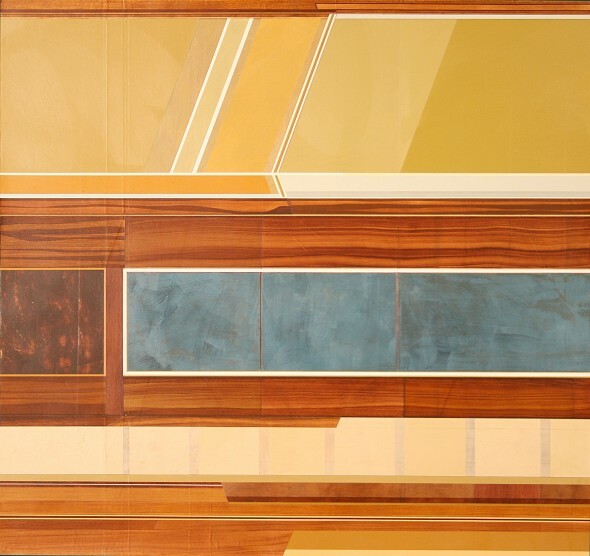 Making paintings of wood seems appropriate for abstraction and can symbolize the manipulation of source material into product. Lumber is manufactured— utilitarian and structural. I appreciate massive timber warehouses and how they can gracefully relate to an environment like a huge japanese seasonal arrangement. 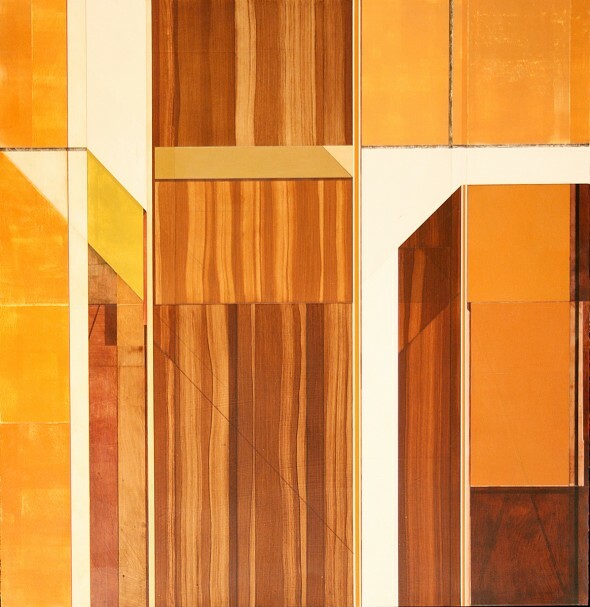 The variety of commercial faux wood finishes— like paneling and laminates on appliances and countertops — inspire me to manipulate wood forms and create gestures that activate space. May 6, 2011 | Filed under People.